Could You Be Liable For Sending A Text Message To A Driver? "Dont Txt Me Pls…Im Driving." Could You Be Liable For Sending A Text Message To A Driver? A New Jersey court has held that a person sending a text message to a driver might be liable for injuries or damage caused by the driver's crash. What is your (and your children's) risk of the same becoming the law in North Carolina? Teenagers like texting. A lot. A New Jersey court has held that a person sending a text message to a driver might be liable for injuries or damage caused by the driver's crash. What is your (and your children's) risk? This article explains the meaning of that court's decision and the limited circumstances under which it might apply, while also assessing the legal and practical problems with holding a person sending a text message to a driver liable for the driver's crash. Shannon Colonna and Kyle Best, the teenagers at the center of this story, sent as many as 180 texts in a single day. On September 21, 2009, Colonna and Best exchanged texts in the morning, had lunch together, then watched television together until Best left for work in mid-afternoon. Just as Best clocked-out of work, the two began texting again. While driving home from work, Best's pick-up truck crossed the center line, striking two oncoming motorcyclists and causing serious injury to both. The injured motorcyclists filed suit against Best in New Jersey. They also filed suit against Colonna, because Best's telephone records revealed that Colonna and Best had exchanged texts in the minutes leading up to the crash, with Colonna sending a text to Best within 30 seconds of the crash. Best was responding to that text at the moment of the crash. The injured motorcyclists contended that, because Colonna had sent the text which distracted Best, she should be liable for their injuries along with Best. In New Jersey, as in North Carolina, it is illegal to send or read a text message while driving. As the fact pattern set out above demonstrates, these laws are in place for good reason. The U.S. Department of Transportation reports that glancing at a text message while driving at 55 miles per hour is the equivalent of driving the length of a football field while blindfolded. We conclude that a person sending text messages has a duty not to text someone who is driving if the texter knows, or has special reason to know, the recipient will view the text while driving. (Emphasis added). However, the court ultimately decided that Colonna was not liable to the injured motorcyclists because there was no evidence that she had "a special relationship with Best by which she could control his conduct" (i.e., influence him to respond to the text message) and there was no evidence "that Colonna urged Best to read and respond to her text while he was driving." The New Jersey decision has garnered national attention. The majority of news coverage has (understandably) focused on the interesting concept that a remote texter might be liable for a distracted driver's crash. This news coverage has minimized the fact that the New Jersey court in fact did not impose liability on the remote texter and has not given much analysis to the limited framework for potential liability set out by the New Jersey court. First, the New Jersey decision is only binding on trial courts within New Jersey. It is not binding on any court in North Carolina or in any other state. Nonetheless, other courts, including those in North Carolina, may find the New Jersey court's analysis to be persuasive, particularly because the discussion of potential liability for a remote texter is based on general principles of tort law, which are derived from common law, and are thus likely to be similar across many states, including North Carolina. Second, the legal standard upon which a remote texter might be held liable, as set out by the New Jersey court, appears quite limited. The New Jersey court stated that potential liability for remote texters might arise only in situations where the texter "knows, or has special reason to know, the recipient will view the text while driving." Only under that limited circumstance would a remote texter be deemed to owe a legal duty to other drivers on the road not to send a potentially distracting text to a driver. On the facts before it, the New Jersey court determined that Colonna was not liable, despite the volume of texts between her and Best, because there was no evidence showing that Colonna "urged Best to read and respond to her text while he was driving." It was not enough that Colonna probably knew that Best was driving when she sent her texts. Instead, the decision suggests that Colonna would also have had to know that Best would be violating New Jersey law by viewing her text immediately upon receipt, rather than waiting until he arrived at his destination or pulling over. The legal standard imposed by the New Jersey court creates problems of proof for a potential plaintiff. Not only will it be difficult to establish that a remote texter actually knew that the recipient of a text was physically driving at the time a text was received (because the driver may have arrived, stopped for gas, stopped for food, stopped at a stoplight, been delayed in leaving, etc. ), but it will be even more difficult to establish that the remote texter knew that the driver would view the text immediately upon receipt, rather than waiting to view the text once stopped. This legal standard also raises a counterpoint. The New Jersey court's legal standard might be used to hold a remote texter, like Colonna, liable for sending a text, even though the primary actor, like Best, actually drove the vehicle across the center line and willfully violated the law by driving recklessly and viewing a text while driving. Liability is only imposed on the actor who "causes" the injury. 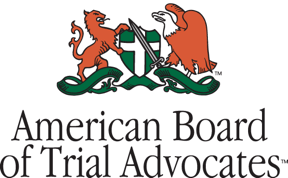 Courts often find that remote actors are not liable if the primary actor has violated the law. In other words, the primary actor's decision to violate the law "supersedes" any harm resulting from the remote actor's actions. The remote texter might argue, then, that the driver's illegal decision to view the text should insulate the texter from liability. This argument is not fool-proof, though. For example, bars are sometimes held responsible for injuries caused by drunk-driving patrons if it is found that the bar should have known the patron was over served, even though the patron later violated the law by driving under the influence. The reason: courts view the customer's illegal act of driving under the influence to be a foreseeable result to bartenders and their employers. The New Jersey court's legal standard seems to require that the remote texter know that the driver will view the text before liability is imposed. As a result, the legal standard appears to impose liability only in situations where the driver's illegal act of viewing the sent text is foreseeable to the remote texter. The New Jersey decision suggests that a different legal standard might apply in certain contexts. The New Jersey court stated that liability could be imposed if the remote texter "had special reason to know" that the driver would read the text while driving, even if the remote texter didn't have actual knowledge of that fact. While the court did not elaborate on this statement, it did discuss certain special relationships, such as employer-employee or parent-child, where the remote actor may have greater control over a recipient driver, and that liability may be more likely if the driver and remote texter share such a relationship. 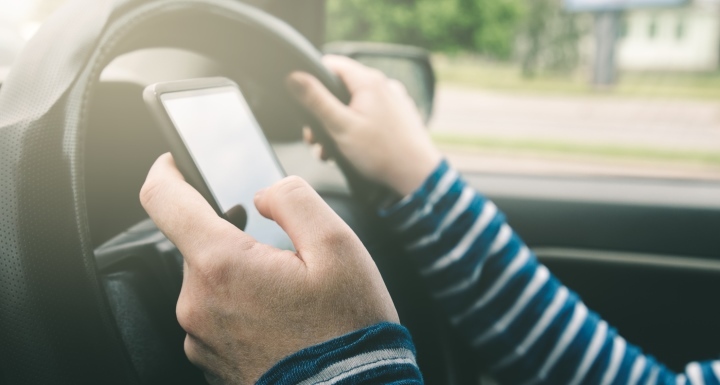 It would not be surprising to see future litigants argue for remote liability in cases where a distracted driver is texting with an employer or parent. However, it still appears that the New Jersey court's legal standard will be met only if the evidence shows that the employer or parent has previously directed the driver to view and respond to their texts immediately, even while driving (in violation of applicable law). Any such directive would be a bad idea, not only because of the New Jersey decision. Under the New Jersey framework, we may speculate as to what type of evidence might have brought the court closer to holding Colonna liable for the injured motorcyclists' injuries. For example, Colonna's case may have turned out differently if Best had informed Colonna, via text, that he was driving and would respond later, but she continued to text him. Also, the case may have been closer if it had been established that Colonna had ridden with Best in his truck many times and was aware that Best consistently texted while driving. Any court decision which delves into uncharted legal territory and assesses new legal theories, made possible by technology, against traditional legal principles is noteworthy. The New Jersey decision is especially noteworthy because it accepts the possibility of liability for a remote texter and because texting while driving is a serious and timely issue. However, the New Jersey court did not impose liability on the remote texter on the facts of the case before it, and its decision seems to set out a rather limited legal framework for potential liability. Nonetheless, we bet that arguments about the liability of remote texters will be considered again soon. © 2019 Ward and Smith, P.A. For further information regarding the issues described above, please contact Michael J. Parrish.